Ferrari is known to produce some of the world’s most exotic and sought after super cars. So how can a Ferrari owner set themselves apart from the next Ferrari owner? Well, they have to get their hands on the ultra rare models of course. Something that’s limited in production, say with single digit, or barely making it over the double digit serial numbers. 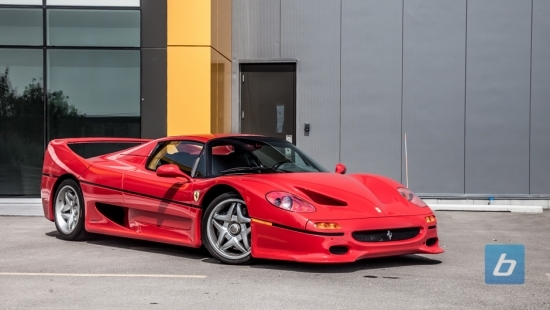 For those Ferrari enthusiasts, if they spoke up early enough, they can be the lucky owner of one of ten Ferrari F60 America. So what is a Ferrari F60 America? First lets quickly sum up what it’s not. It is not the successor to the F50 as there is already an Enzo and LaFerrari. What it is is a limited edition vehicle produced to celebrate the 60 years that Ferrari has been in the American market hence the name. 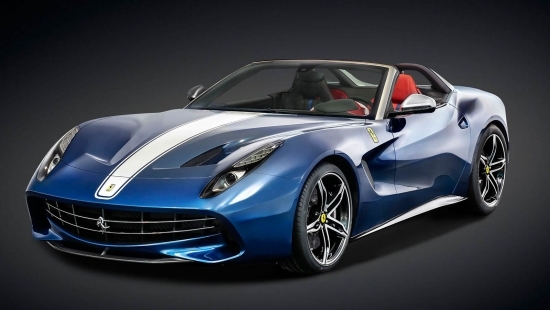 The F60 America is a Ferrari roadster following after the F12. The open roof can be closed off with a light fabric top, and to be clear, we are not referring to a power soft top. This is a hand powered fabric top. The F60 wears the classic North American Racing Team livery. Power is delivered is a 6.3L V12 which produces 730hp allowing this prancing horse to sprint to 100kph in 3.1 seconds. By the time you read this article, all ten examples of this highly exclusive $2.5 million USD Ferrari has been spoken for by their new owners. The first of the ten was officially delivered today while the keys to the final vehicle will be handed to its new owner at the 25th annual Palm Beach Cavallino Classic.